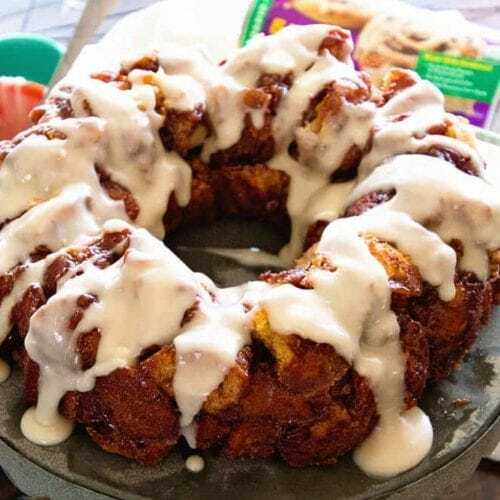 Easy Cinnamon Roll Monkey Bread ~ Quick and Easy Monkey Bread Made with Cinnamon Rolls and Icing! 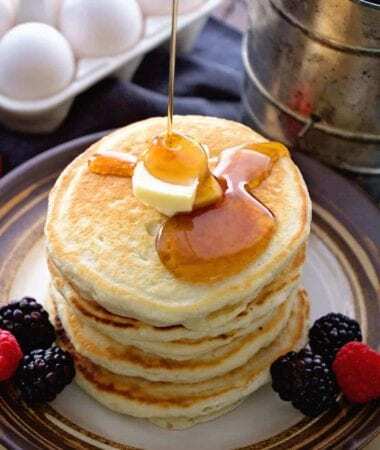 Perfect Easy Breakfast Treat! It makes a great weekend brunch when you have guests also. 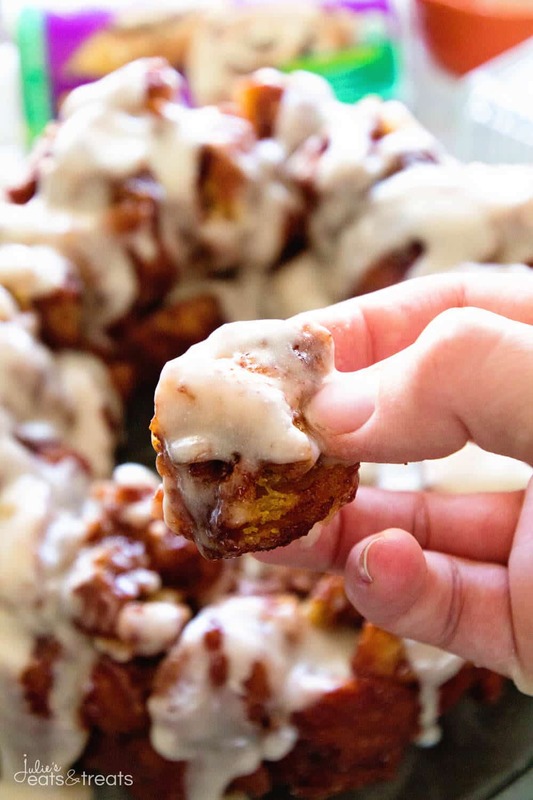 Who wouldn’t love ooey, gooey cinnamon rolls with a delicious sweet topping? 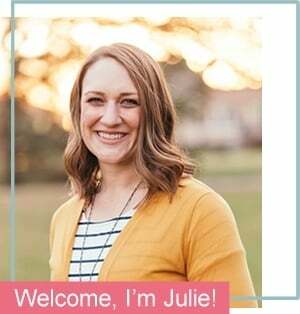 I’m partnering with Annie’s to spread the word about their first ever Great Bunny Bake Off with a delicious recipe of my own! When you look at a food blogger I’m sure you think we have it all together. 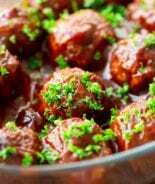 We have our meals planned, exquisite recipes to make, our family enjoys homemade meals every night, big breakfasts are a regular on the weekend etc. Well, I hate to break it to you, but it’s all a figment of your imagination! We are just like you, scrambling at the last minute, more often than we would like too, in order to get meals on the table and families fed. 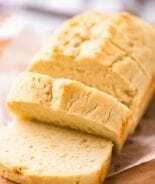 Typically on a day I’m tackling new recipes by the time dinner rolls around I’m exhausted and the last thing I want to do is make another meal for my family. This feeling also happens after grocery shopping. By the time I get off work, tackle grocery shopping, arrive home, all I want to do is put a pizza in the oven. 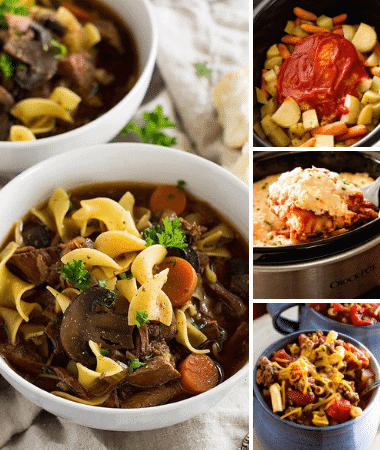 If I’m lucky and have my act together I think ahead and plan a slow cooker meal for that night. Let me tell you, that rarely happens! 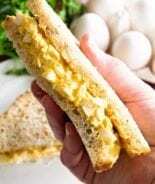 Unfortunately, there have been many Christmas Eve’s that I suddenly look at my husband and gasp with dismay while proclaiming that I totally forgot about making a delicious Christmas Day breakfast. You would think that I’d have this down by now! He always smiles and reassures me that it’s totally fine and I haven’t failed to much yet. This is why I love that guy, well one of the many reasons! It seems that by the time I get all the holiday plans organized, presents bought, presents wrapped, decorations up etc. I let some of the “details” slip by me. 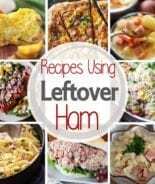 That’s why I’m always in need of a few recipes that “save” me in these moments that I drop the ball. Trust me, there are plenty of those moments! 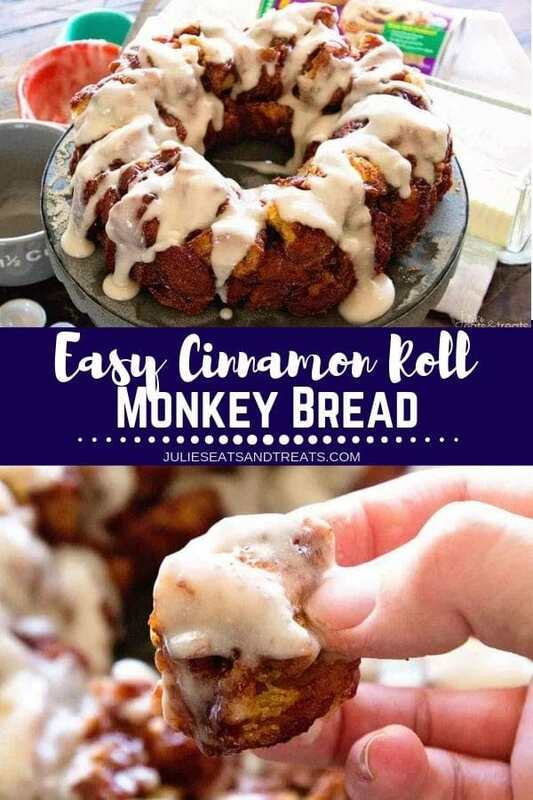 That’s why I love this Cinnamon Roll Monkey Bread! It’s ridiculously easy and so delicious. It would be an amazing treat on Christmas morning or any morning you have guests over the holidays. It literally takes about 15 minutes and it’s in the oven. Bake it and then flip it onto a platter, drizzle with icing and it’s done! 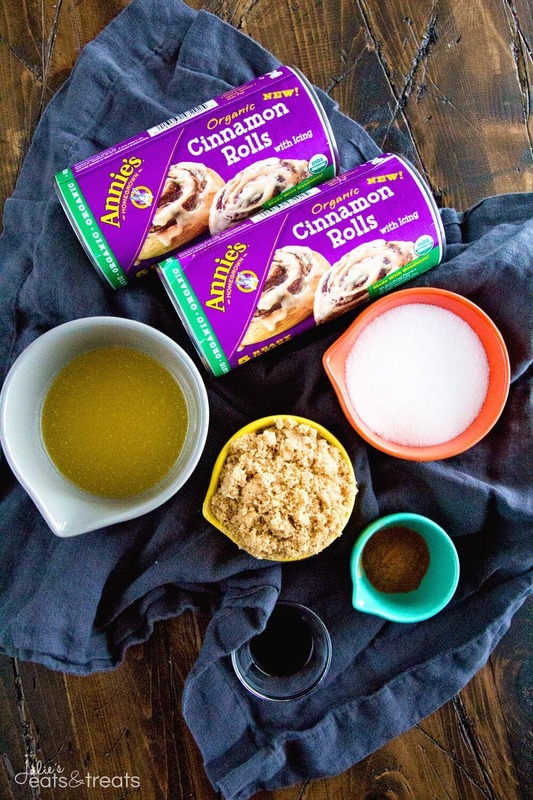 Plus, it starts with Annie’s Organic Cinnamon Rolls which taste amazing and are perfect for when you need a quick treat in the morning! 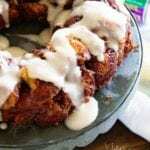 I dressed them up in this easy Cinnamon Roll Monkey Bread, but they are delicious on their own too! 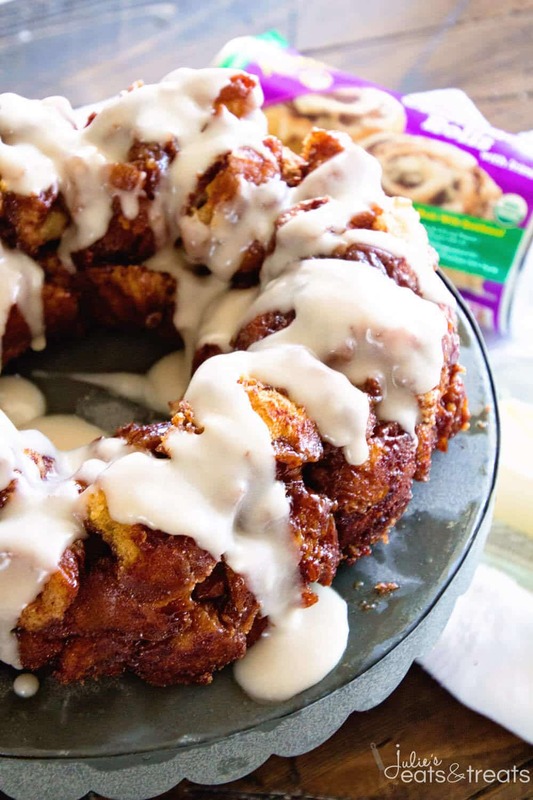 Did you know Annie’s Organic Cinnamon Rolls are Certified Organic? Can I get a round of applause for that? Not only are they Certified Organic, but they contain unbleached flour, no hydrogenated oils and no high-fructose corn syrup! 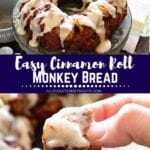 Quick and Easy Monkey Bread Made with Cinnamon Rolls and Icing! Perfect Easy Breakfast Treat! 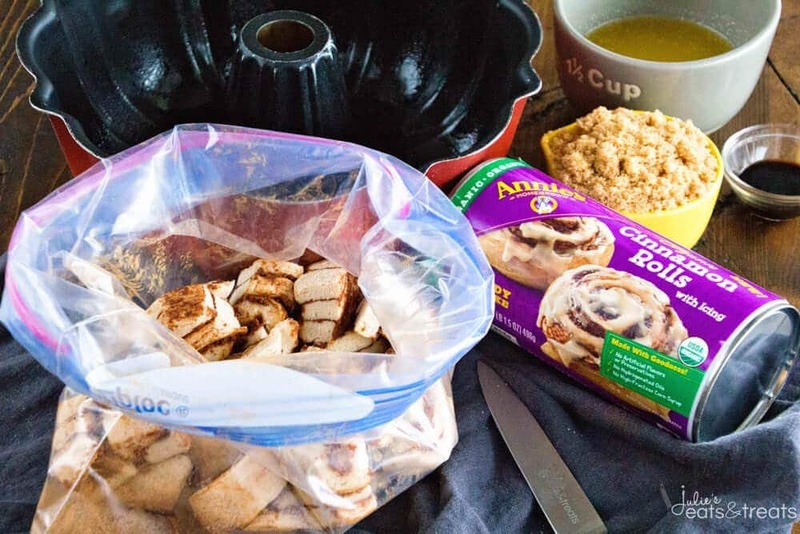 Grease a bundt pan with non-stick cooking spray. Place cinnamon and sugar in gallon resealable bag. Cut each cinnamon roll into six pieces. Place cinnamon rolls in bag with cinnamon and sugar mixture. Shake the bag to coat pieces. 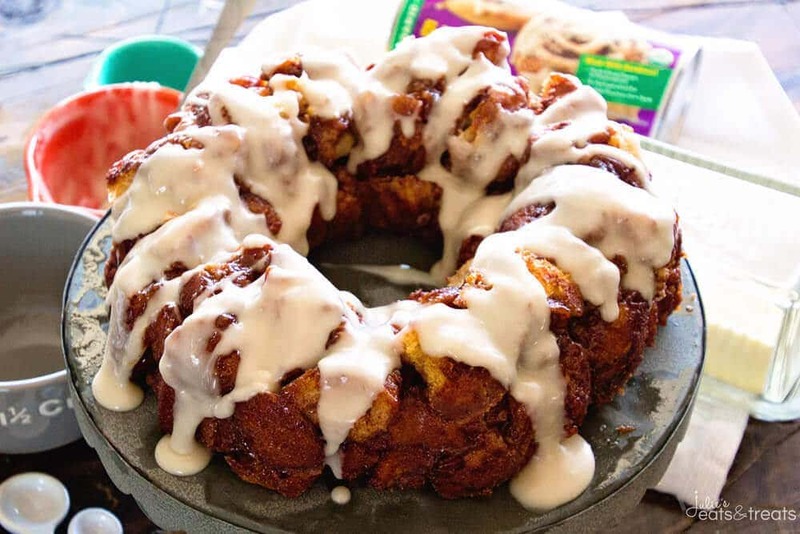 Arrange half of the cinnamon roll in bundt pan. Stir together brown sugar, butter and vanilla. Pour half of mixture over rolls. Place the rest of the rolls on top and top with the rest of the butter mixture. 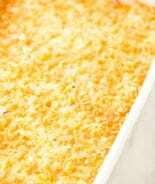 Bake in preheated oven for 35-40 minutes or until brown on top and cooked through. Immediately flip out onto serving platter. Well, you certainly nailed our lifestyle! I had no idea that Annie’s made something like this. I try to never buy things that aren’t organic, and so these will help me out. Thanks for partnering with them to bring this product into the light! Not only are they organic but they are DELICIOUS!! WIN WIN! Getting ready to make this on Christmas Eve and when I watched the video it is different from the recipe. Video shows brown sugar being mixed with cinnamon and granulated sugar being mixed in with butter. Is video right or the recipe?? I’ve made it both ways. It really doesn’t matter. I’d follow the recipe if you are wondering though. Oooo sounds like the perfect addition! Glad you enjoyed it! Can this be prepped the night before and baked in the Morning?